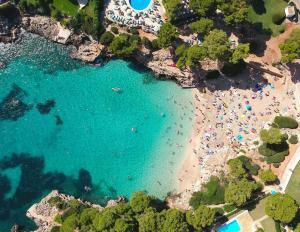 The location was excellent, near the coves and a short walk to the centre of Cala D'Or. The hotel was very comfortable, the staff were very helpful and friendly. Very nice place, large pool, comfortable rooms. The hotel staff was very kind, always willing to help, speaking English, German very well. Breakfast offer was super excellent! Pools large, clean, beaches are beautiful there. And many activities for families in the hotel even in Sept/October. really recommend to all. Lovely clean room. Comfortable. Great for families with young children. It’s our third stay there, so convenient with short walk to beautiful beaches. 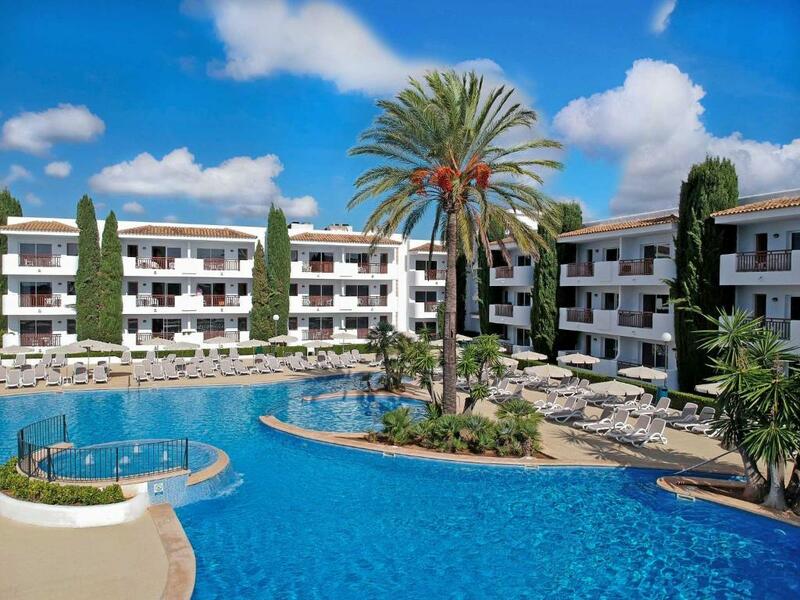 Lock in a great price for Inturotel Cala Azul Garden – rated 8.7 by recent guests! Inturotel Cala Azul Garden This rating is a reflection of how the property compares to the industry standard when it comes to price, facilities and services available. It's based on a self-evaluation by the property. Use this rating to help choose your stay! One of our top picks in Cala d´Or.The Inturotel Cala Azul Garden is located on the south-east coast of Mallorca, 500 feet from the beach. It has a large natural-shaped swimming pool and a free Wi-Fi zone. The rooms of the Cala Azul Garden are functional and light. All have separate bedroom and living areas, and kitchenettes with fridge.They also have terraces and satellite TV. WiFi is available in the apartments for a surcharge. The apartments are surrounded by a large garden with pine and palm trees. The swimming pool is in the form of a lake. Guests are also able to use the facilities of the Esmeralda Park, just 500 feet away. There you will find a restaurant, pizzeria and heated swimming pool. The Cala Azul Garden is close to shops. 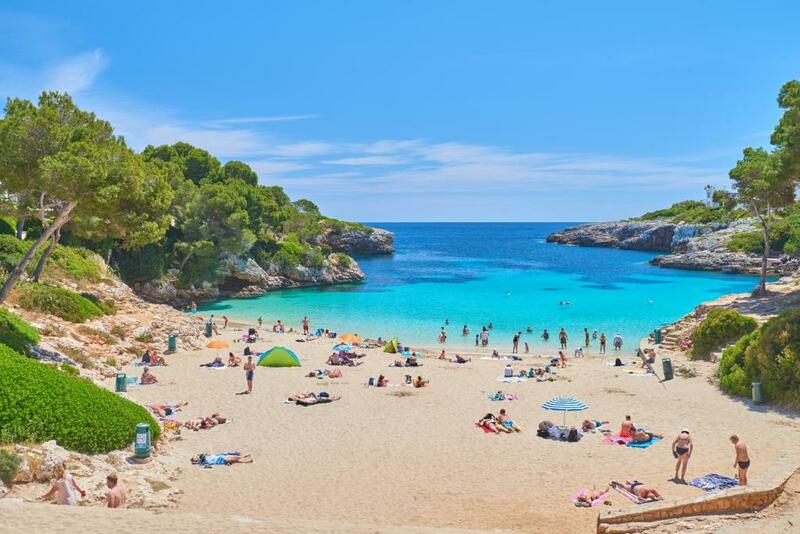 The Cala Esmeralda and Cala Ferrera beaches are just 2 minutes’ walk away. The center of Cala D'Or is 2,650 feet away. Free parking can be found nearby. This property is also rated for the best value in Cala d´Or! Guests are getting more for their money when compared to other properties in this city. 뀐 Located in the top-rated area in Cala d´Or, this property has an excellent location score of 8.8! 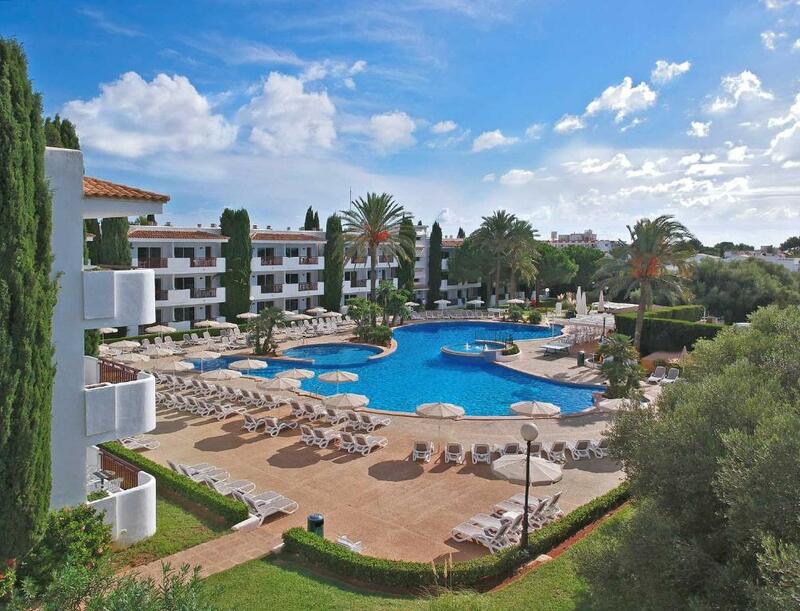 When would you like to stay at Inturotel Cala Azul Garden? This one-bedroom apartment offers a living room with 2 sofas and satellite TV and a well-equipped kitchenette. The furnished terrace has views of the swimming pool, gardens or mountains. A safety deposit box is available for a surcharge. This one-bedroom apartment offers a living room with 1 sofa, 1 sofa bed and satellite TV and a well-equipped kitchenette. The furnished terrace has views of the swimming pool, gardens or mountains. A safety deposit box is available for a surcharge. This one-bedroom apartment offers a living room with 2 sofa beds and satellite TV and a well-equipped kitchenette. The furnished terrace has views of the swimming pool, gardens or mountains. A safety deposit box is available for a surcharge. 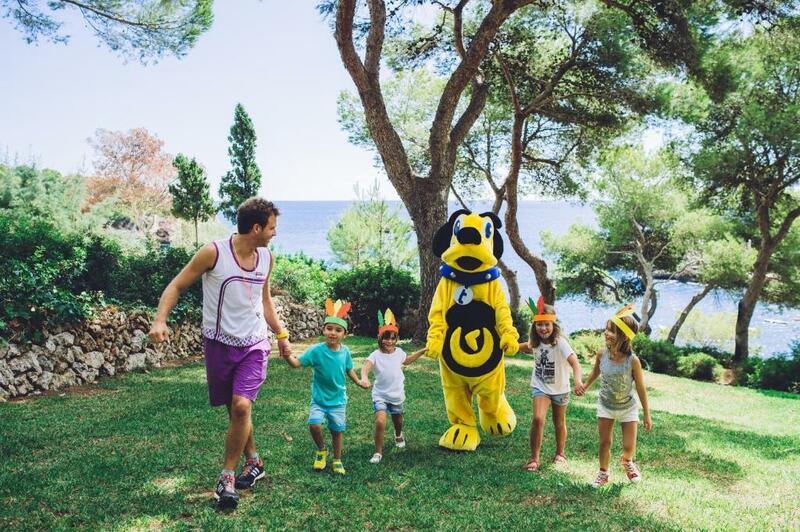 House Rules Inturotel Cala Azul Garden takes special requests – add in the next step! Inturotel Cala Azul Garden accepts these cards and reserves the right to temporarily hold an amount prior to arrival. Walls were a little thin so I did struggle to sleep a few nights due to some rather noisy neighbours. The staff were great. The hotel was kept immaculately clean. Beach was beautiful. We left early morning and as the breakfast was included we were offered to come for early breakfast (served from 4-7am). 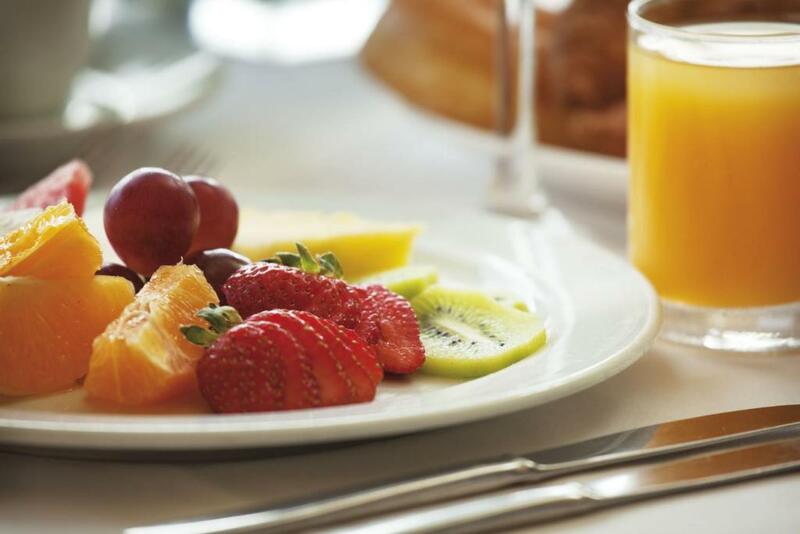 In comparison with standard breakfast, this morning breakfast offer is quite limited. Not bad, but I think that some fruits or vegetables could be included too, or some type of croissants or cakes. But nothing else to complain about! Apartments are a bit dated. Great location and nice pool. We were located right by what we think was a delivery entrance and were woken early by loud noises from them unloading there goods slightly annoying. Bedrooms were tired and not as per pics when I booked. The noise each night made it impossible to sleep plus karaoke place right by our room at back of hotel, people moving furniture to arrange kids beds late into the night.